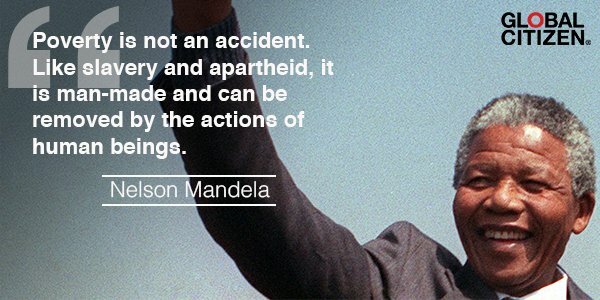 Poverty is not an accident. And neither is the hunger it spawns. Working together we can end hunger in our lifetime. It’s a noble and achievable goal. Let’s do all in our power to make it happen. Working together we have the power to change the world. This entry was posted in Hunger & Poverty, Quotes and tagged accident, action, Apartheid, Global Citizen, goal, human beings, hunger, manmade, Nelson Mandela, poverty, power, quotes, slavery on January 28, 2016 by Ray Buchanan. This is part of the true work of Christmas. This is a gift for the entire human family. We need to give all we have and all we are until extreme poverty and hunger are just bad memories. This entry was posted in Hunger & Poverty, News & Views and tagged changing the world, Christmas, gift, Global Citizen, human family, hunger, memories, poverty, work on December 24, 2015 by Ray Buchanan. This entry was posted in Hunger & Poverty, News & Views and tagged changing the world, extreme poverty, Global Citizen, sustainable development goals on December 4, 2015 by Ray Buchanan.